PD Dr. Jens Titze from the Interdisciplinary Centre for Clinical Research and the Medical Clinic 4 (Nephrology and Hypertensiology) and Prof. Dr. Florian Marquardt from the Department for Theoretical Physics at the Friedrich-Alexander-Universität Erlangen-Nürnberg (FAU) have reason to be pleased, as they receive a prestigious award and funds worth 1.5 million euros each. Both of these researchers belong to a small group of young research scientists being supported by the European Research Council (ERC) over the next five years through the coveted “Starting Independent Researcher Grants”. The ERC awards this financing to promising young research talents to give them the chance to set up their own research groups and to press ahead with independent research projects with high innovative potential. PD. Dr. Jens Titze and his team are researching the connection between sodium chloride deposits in the skin and the development of high blood pressure, which can lead to strokes, heart and kidney disease. To date, scientists presumed the brain, vascular system and the kidneys composed the network that regulates blood pressure: the brain processes information on pressure and “water levels” in the vascular system. It sends signals to the blood vessels for them to expand or contract, and to the kidneys which control the “fluid levels” in the vascular system by filtering out salt and water. However, over the last few years Jens Titze’s working group has been able to demonstrate that the immune and lymphatic systems are also involved in this regulation process. The Erlangen scientists recognised that sodium chloride can strip the kidneys of their control function and is then stored in the skin in very large quantities. In order to tackle this sodium chloride, the body sends natural killer cells from the immune system into the skin’s connective tissue. Once there, the immune cells alter the architecture and function of the lymphatic system and ensure that the stored salt is transported out of the tissue. If this purification process is disrupted sodium chloride will accumulate in the skin, resulting in high blood pressure. Jens Titze is a medical doctor and researcher. Following his training as an internal medicine expert with particular interest in kidney and high blood pressure diseases at Erlangen University Clinic Medical Clinic 4, he has led young research group 2 at the FAU’s Interdisciplinary Centre for Clinical Research since November 2009. In addition to researching the basic mechanisms behind blood pressure diseases, his group’s number one objective is to transfer new discoveries to patient care as quickly as possible. The Medical Clinics, the Interdisciplinary Centre for Clinical Research at the Nikolaus-Fiebiger Centre for Molecular Medicine and the Institute for Scientific Imaging at the University Clinic’s Radiological Institute offer his team exceptional working conditions for the research projects supported by the European Union. Prof. Dr. Florian Marquardt and his team are researching the interaction between light and mechanical movement on the nanoscale – i.e. in an order of magnitude of a billionth of a meter. Their research focuses on nano mechanical systems that are less than the width of a human hair in size. These systems are operated by the radiation pressure of light alone and, at the same time, their oscillations retroact on the light field. As a recognised “optomechanics” research area it has developed considerably over the last five years. Many groups around the world are now working on this issue. The scientists’ goal is to register mechanical movements on the nanoscale as accurately as possible in order to better understand the forces at work in the nano world. With their work, they intend to further study the basis of quantum physics and enable new applications in signal and information processing, such as “optomechanical switching circuits” or in biophysics. Florian Marquardt has been leading the FAU’s Department for Theoretical Physics II since March 2010, where he is researching the application of quantum mechanics to the interface between nano physics and quantum physics. He is also associated with the Max Planck Institute for the Physics of Light, based in Erlangen. Marquardt earned his doctorate in 2002 in Basel and then researched at Yale University, USA. Before being appointed in Erlangen, he worked for five years as professor and director of the Emmy Noether Young Researchers Group at LMU in Munich. In 2009, he was awarded the Walter Schottky Prize for solid state physics by the German Physics Society (Deutschen Physikalischen Gesellschaft) for his theoretical research in the area of optomechanics. The European Research Council awards its “Independent Researcher Grants” to excellent researchers whose innovative projects take risks but, if successful, could produce significant advances for the future. The Advanced Investigator Grants are available to established researchers and Starting Grants to young research scientists. 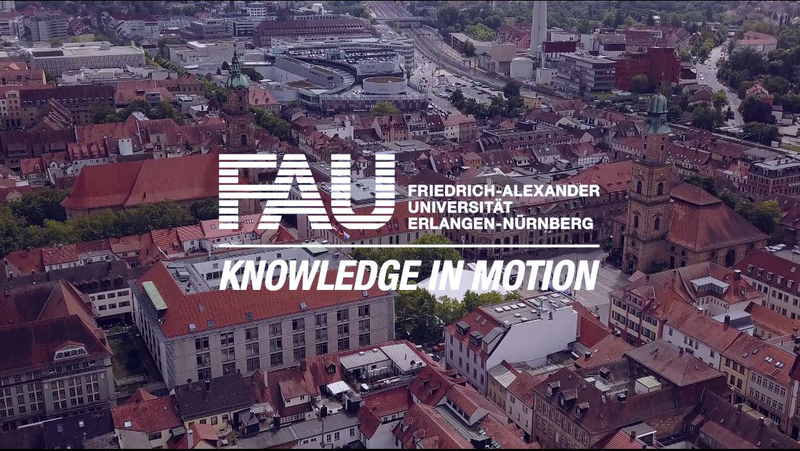 In recent years, three FAU researchers have been awarded this prestigious support: Prof. Dr. Andreas Hirsch (Department for Organic Chemistry II, 2009), Prof. Dr. Peter Wasserscheid (Department for Chemical Reactions Technology, 2010) and Prof. Dr. Vahid Sandoghdar (Department for Experimental Physics, 2010).